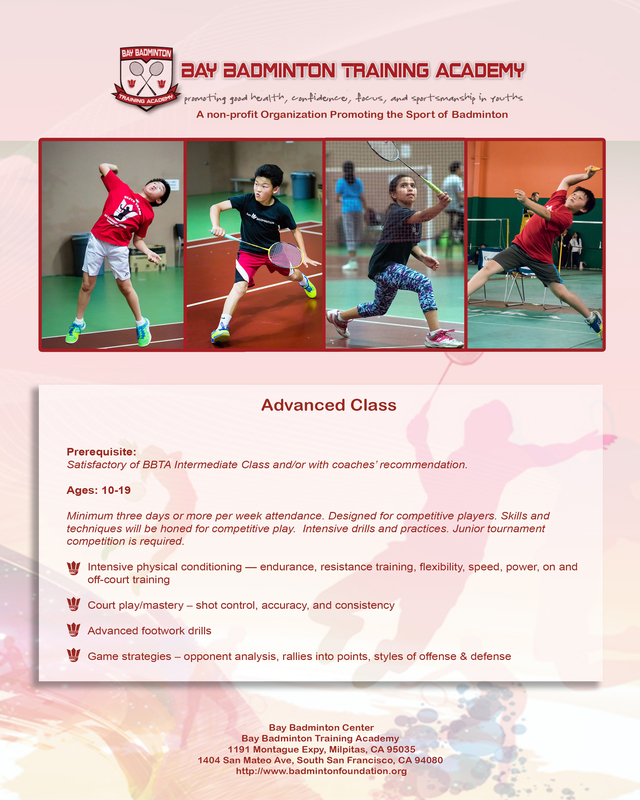 Enroll your kids in our exciting school today and they will be on their way to improving their game. 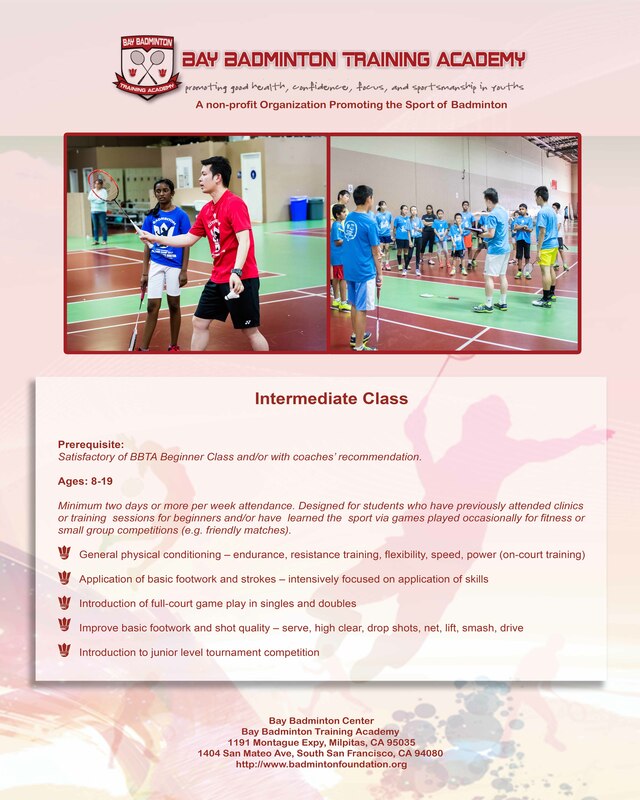 BBTA will be committed to improving game skills and building confidence to compete‚ Students are not only improving badminton skills but also building life skills. We incorporate discipline, dedication, focus and a positive attitude. 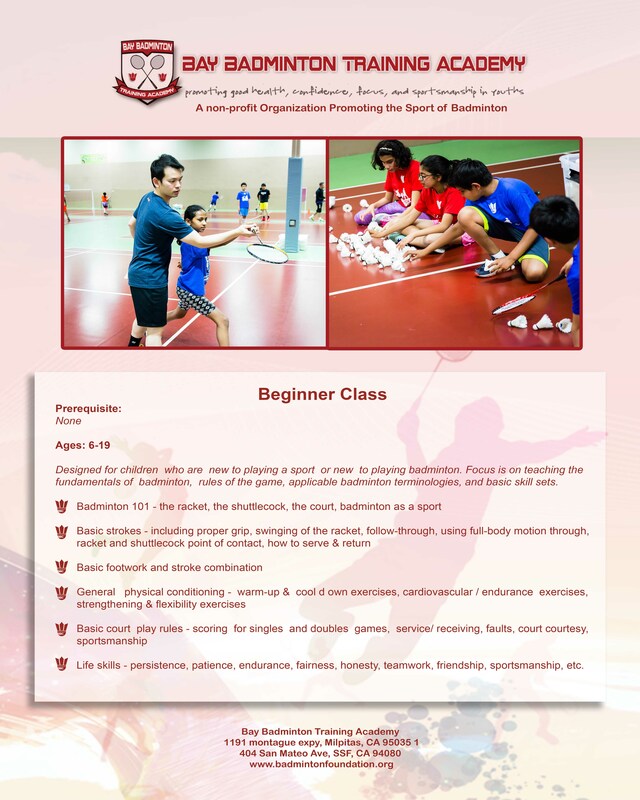 Our goal is to nurture each and every player with the skills they need to succeed, both on and off the court. 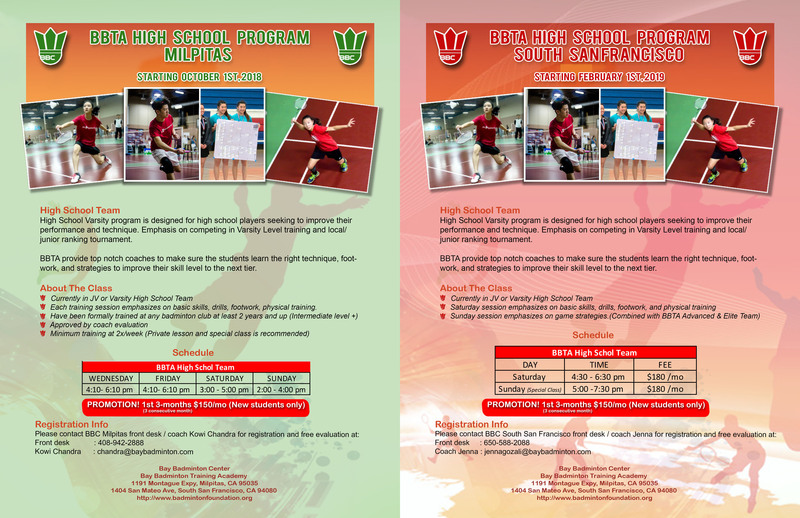 BBTA will prepare students for competitive play in middle schools and high schools and to prepare play in local and national badminton tournaments. 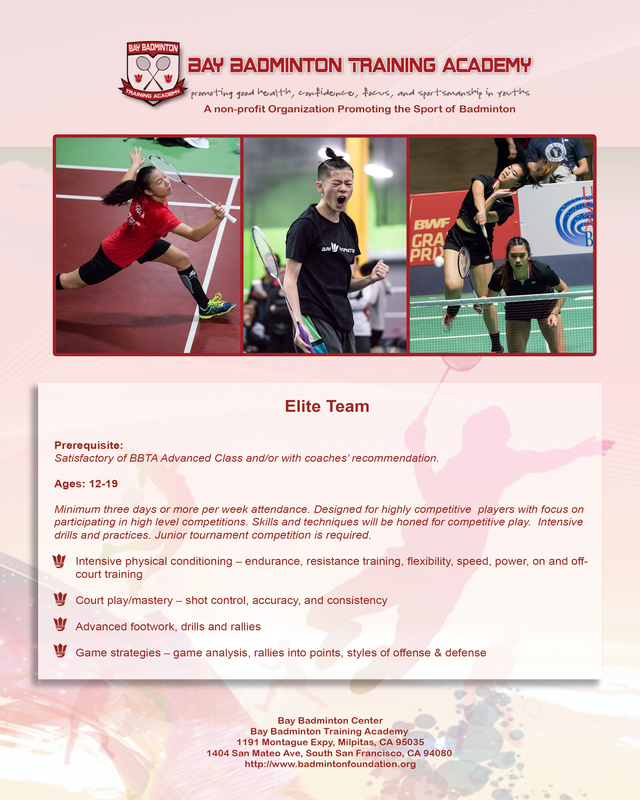 We also offer Private Classes, Team/Adult Training, and Summer/Winter Camps. 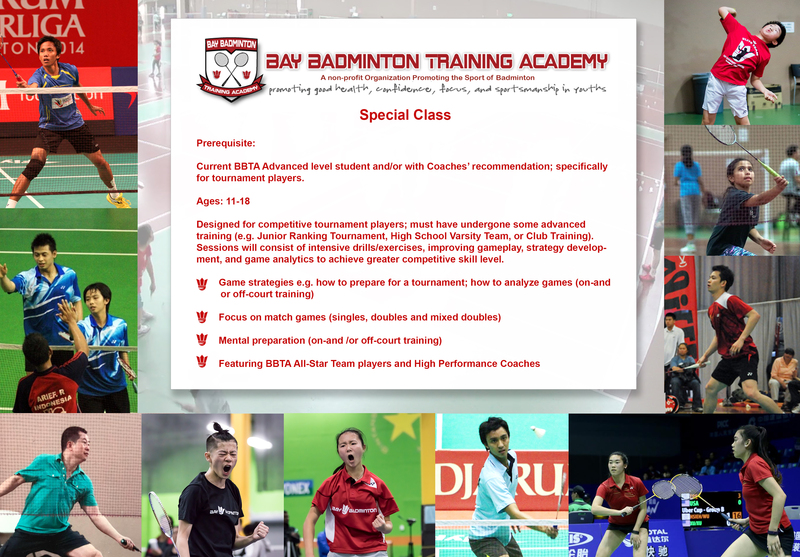 For more info: Email us at info@baybadminton.com or give us a call at 650.588.2088 or 408.942.2888.